Hope you're all feeling good. 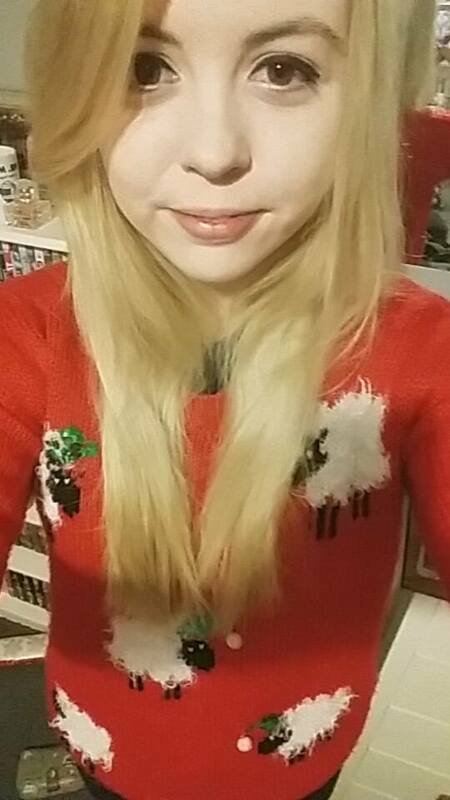 My names Chloe, 22, and I'm a UK based blogger. 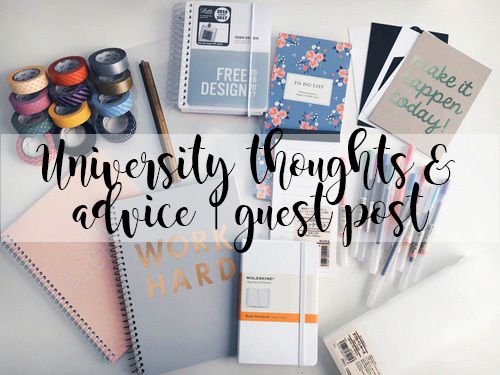 I have my own blog called Chloe Chats where I love to blog about general advice on feeling healthy, happy and good, University posts as I've finished my final year now and I know how nervous it can be going to University or little things that might scare you whilst you are there, lifestyle, and some beauty and fashion posts, a bit of everything really! I love writing in a chatty way on my blog, which is a big reason to why I chose the name Chloe Chats! I felt as I completed University in the summer of this year and I enjoy giving advice and helping others that I would give my general thoughts and advice on my University experience as a whole. I hope this can help those starting University next year, or help those that have recently started or even those in their second or third year (or more depending on your degree length). I feel like if I had this sort of thing before I started University I wouldn't have freaked out as much as I did, and also any worries I had throughout my years reading someone's experience or advice was extremely helpful to me. I feel like there's not much you can do to prepare for something that you've never done before. Obviously there's the preparation of all the stuff you're going to take and maybe some extra research for the course you're going to start, but preparing for University life is something you've just got to do in the moment. One of the biggest things that I got into my head was that everyone is in the same situation as you, so believe me, you won't be the only one feeling a mixture of nerves, excitement, and so on. I've always said that if there was something that you wanted to improve on while you were at school/college like being more talkative or putting yourself out there to make new friends, it can be hard to do in a place you've been at for years, but going to a completely new place, with no one at all who you know it can be a lot easier to do. But a massive tip from me if you're going off to live in halls, is on moving in day keep your door open, just put something under it or anything to keep it wedged open. This is a really good way for you and your new flatmates to get talking straight away rather than closing your door all day and having that confidence to then open your door and walk out and meet everyone, it can be quite daunting! But as I said, everyone's in the same situation and everyone will feel nervous to get talking to everyone but once you introduce yourself and your parents go it's fine, trust me! This could be a whole new blog post because there's so much to talk about but I do suffer with anxiety, it's not the highest form of anxiety (if that's how you think of it), but it can cause me some horrible problems. I had moments where I just couldn't go out anywhere, even if I'd been invited to something, sometimes it got so bad that I just couldn't leave my room. The thought of opening my door and stepping out into the hallway was even too much for me. It happened more than I would have liked, but there was things that I did to help me. A really good tip that helped me is having someone to talk to. I know when you first start you won't be extremely close to anyone, but if you have a best friend from back home, a boyfriend, or a family member that you're close to, they're only a phone/skype call away and if you're feeling so anxious and are struggling with things like not being able to leave your room, or attend your lectures then talk to them, it can always make you feel at ease hearing a familiar voice. Of course, if it is affecting you by stopping you from going to lectures or seminar's then there are various people you can go to for help, but the main one for that would be to talk to the University. My uni had someone who you could go talk to about this, so I'm sure most other university's will as well, and also talk to your personal tutor (if you have one of them), or a course lecturer and explain to them why you're attendance might not be as good as you want it to be. There's so many more tips and experiences of my own that I can go on about but I feel like that's definitely a whole blog post than just a small paragraph. It can be hard making friends, and sometimes it can be hard making friends in your lectures especially if your sitting in huge lecture hall where you kind of just have to listen for a few hours rather than sitting around in groups at a table. At universities there will always be loads of societies, and most of the time there will definitely be one that you're interested in. Again, signing up and going along to a society's session can be daunting, you're putting yourself through the same thing of entering a room with a bunch of strangers. But this time you all love the same thing... conversation topics will be super easy, you just talk about whatever the topic of the society is. And usually because you are interested in the same thing that all these people are, you'll become really good friends. I would probably say that this is one thing that I do regret a little, I did join a few societies, and also set my own one up (which by going to one in your first year can inspire you to do so, and also very good for your CV). I'd say I held myself back a little, and only went to ones that I knew a friend was going to because I was nervous to go to something completely by myself. I kind of spent my first year more having fun and less doing work, I wouldn't advise that but now I've just told you. I did have a lot of fun in first year, but I also always made sure all my assignments were completed at a good enough level and handed in on time. I got some really good grades in first year, and I also thought, wow I feel like I'm barely putting effort into this and I'm doing pretty good. I mean, I probably felt I was writing rubbish essays because I can be quite negative on myself, but in actual fact I was writing them quite well. So after first year I thought, I'm doing pretty well, this is going to be not too bad... and then second year began. They say that first year of university is kind of similar to college or sixth form because they want to ease you into it, and for most students the marks you get for first year doesn't go to your overall result when you finish university. Second year goes into university mode, it's hard. Third year is even harder, but at the time I didn't realise the step up from first year to second would be that big. So my advice to anyone in first year is to keep that in mind, use your summer wisely, obviously have some fun because you deserve it but I think doing a bit of research especially towards the end when you're about to begin again, it's good to get your mind set into a working mode. I hope this has been helpful advice, I do like to go on... I am quite chatty. I hope at least one of these points have helped ease someone into university life.